Metro Detroit photographer Jennifer Shane has a unique and fun approach to all of her photo sessions. Her photos have a modern, fresh and stylish look and feel through the use of natural light and textural surroundings. Jennifer’s focus is on Family Sessions, Senior Portrait Sessions and Friendship Sessions. Just as much as Jennifer loves creating precious memories in pictures, she also loves the process of getting to know her clients. 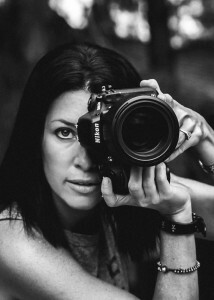 Jennifer finds the more you can connect with your clients, the more genuine and authentic the images you capture. Jennifer’s attention to detail helps take the stress out of the process of preparing, taking and ordering of your images. On the day of the shoot Jennifer makes sure that everyone is relaxed and having fun! Jennifer lives in Birmingham with her husband and two daughters. Jennifer’s photos have been published in USA Today, Detroit Jewish News, The Detroit Free Press & Neighborhood Seen. Her photos are also proudly framed on the walls of many, many families.